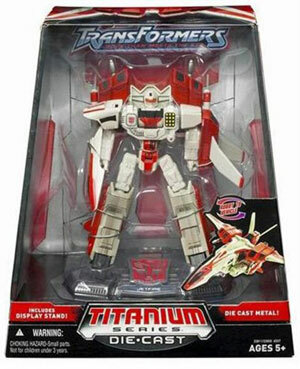 Description Of Item: This version of Jetfire corresponds with The War Within version. Definitely one of the more impressive contributions to the line. He looks to be highly detailed and extremely well articulated. He comes equipped with slender silver dual blaster rifles as well as an Autobot insignia display base. Adorned in his classic colors, the jet mode is sleek and businesslike, with the aerial semblance carrying over heavily into robot mode.